Psychologists who study forgiveness find that, generally speaking, people who forgive lead happier and healthier lives than those who don’t. The Amish people we interviewed agreed, citing their own experience of forgiving others. Some said they were “controlled” by their offender until they were able to forgive; others said the “acid or hate” destroys the unforgiving person until the hate is released. Coming from members of a religious community that emphasizes self-denial, these comments show that the Amish are nonetheless interested in self-care and personal happiness. Forgiveness may be self-renouncing in some respects, but it is not self-loathing. The Amish we interviewed confirmed what psychologists tell us: forgiveness heals the person who offers it, freeing that person to move on in life with a greater sense of vitality and wholeness. Still, if the Amish provide evidence that forgiveness heals the forgiver, they provide even more evidence that forgiveness benefits the offender. Forgiveness does not deny that a wrong has taken place, but it does give up the right to hurt the wrongdoer in return. 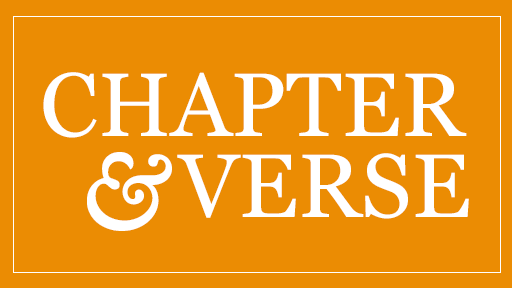 Even though Charles Roberts [the shooter at the Nickel Mines schoolhouse] was dead, opportunities to exact vengeance upon his family did not die with his suicide. Rather than pursuing revenge, however, the Amish showed empathy for his kin, even by attending his burial. In other words, the Amish of Nickel Mines chose not to vilify the killer but to treat him and his family as members of the human community. Amish forgiveness was thus a gift to Charles Roberts, to his family, and even to the world, for it served as the first step toward mending a social fabric that was rent by the schoolhouse shooting. These acts of grace astounded many people who watched from afar. Living in a world in which religion seems to nourish vengeance more often than curb it, the Amish response was a welcome contrast to a barrage of suicide bombings and religiously fueled rage. What is less clear is whether the rest of us saw the Amish response as something to emulate, or as just a noble but impossible ideal. Perhaps the answer to that question lies somewhere in the middle. 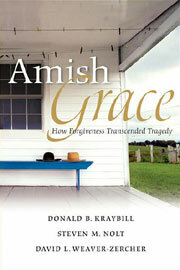 Perhaps we were awed and truly impressed that the Amish sought to counter evil with a loving and healing response. At the same time, we may know that had our children been the ones gunned down in the West Nickel Mines School, our response would have been rooted in rage rather than grace. It’s an honest perspective, but also a problematic one, because it assumes that revenge is the natural response and forgiveness is reserved for folks like the Amish who spend their lives stifling natural inclinations. We often assume that humans have innate needs in the face of violence and injustice. For instance, some who said that the Amish forgave Roberts “too quickly” assumed that Amish people had denied a basic human need to get even. But perhaps our real human need is to find ways to move beyond tragedy with a sense of healing and hope. What we learn from the Amish, both at Nickel Mines and more generally, is that how we choose to move on from tragic injustice is culturally formed. For the Amish, who bring their own religious resources to bear on injustice, the preferred way to live on with meaning and hope is to offer forgiveness — and offer it quickly. That offer, including the willingness to forgo vengeance, does not undo the tragedy or pardon the wrong. It does, however, constitute a first step toward a future that is more hopeful, and potentially less violent, than it would otherwise be. How might the rest of us move in that direction? Most of us have been formed by a culture that nourishes revenge and mocks grace. Hockey fans complain that they haven’t gotten their money’s worth if the players only skate and score without a fight. Bloody video games are everywhere, and the ones that seemed outrageously violent ten years ago are tame by today’s standards. Blockbuster movie plots revolve around heroes who avenge wrong with merciless killing. And it’s not just the entertainment world that acculturates us into a graceless existence. Traffic accidents galvanize hoards of lawyers who encourage victims to get their “due.” In fact, getting our due might be the most widely shared value in our hyperconsumerist culture. “The person who volunteers time, who helps a stranger, who agrees to work for a modest wage out of commitment to the public good…begins to feel like a sucker,” writes Robert Kuttner in EVERYTHING FOR SALE. In a culture that places such a premium on buying and selling, as opposed to giving and receiving, forgiveness runs against the grain. Running against that grain, finding alternative ways to imagine our world, ways that in turn will facilitate forgiveness, takes more than individual willpower. We are not only the products of our culture, we are also producers of our culture. We need to construct cultures that value and nurture forgiveness. In their own way, the Amish have constructed such an environment. The challenge for the rest of us is to use our resources creatively to shape cultures that discourage revenge as a first response. How might we work more imaginatively to create communities in which enemies are treated as members of the human family and not demonized? How might these communities foster visions that enable their members to see offenders, as well as victims, as persons with authentic needs? There are no simple answers to these questions, though any answer surely will involve the habits we decide to value, the images we choose to celebrate, and the stories we remember. In fact, forgiveness is less a matter of forgive and forget than of forgive and remember — remembering in ways that bring healing. When we remember we take the broken pieces of our lives — lives that have been dismembered by tragedy and injustice — and re-member them into something whole. Forgetting an atrocious offense, personally or corporately, may not be possible, but all of us can and do make decisions about how we remember what we cannot forget. For the Amish, gracious remembering involves habits nurtured by memories of Jesus forgiving his tormenters while hanging on a cross. … When thirteen-year-old Marian said “shoot me first” in the schoolhouse, and when adults in her community walked over to the killer’s family with words of grace a few hour’s after her death, they were acting on those habits. And just as surely their actions at Nickel Mines will be recounted around Amish dinner tables for generations to come, creating and renewing memories about the power of faith to respond in the face of injustice — even violence — with grace. In a world where faith often justifies and magnifies revenge, and in a nation where some Christians use scripture to fuel retaliation, the Amish response was indeed a surprise. Regardless of the details of the Nickel Mines story, one message rings clear: religion was used not to justify rage and revenge but to inspire goodness, forgiveness, and grace. And that is the big lesson for the rest of us regardless of our faith or nationality.